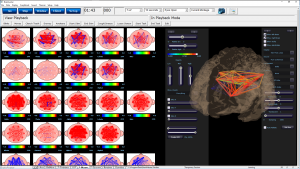 BrainAvatar 4.0, designed and produced by BrainMaster Technologies, Inc., in Bedford, Ohio, is the most advanced and cost-effective EEG-based Neurofeedback, qEEG and 3D sLORETA brain imaging system in the world. 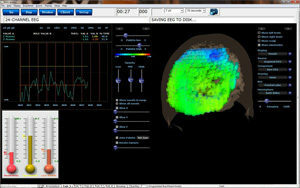 It incorporates decades of experience and internationally published research, to produce a unique solution to EEG evaluation, 3D sLORETA imaging, mapping, and neurofeedback for a wide range of applications. BrainAvatar has won the Nortech Ohio Innovation Award, and continues to set the standard for accessible and affordable advanced brain monitoring, training and imaging. BrainAvatar incorporates technology including BrainMaster’s Discovery, Freedom and Atlantis hardware devices, extensive signal processing and graphics software, and an exclusive high-speed sLORETA (standardized low-resolution electromagnetic brain tomography) voxel processor and 3D image projector. BrainAvatar is a full-featured clinically useful system, registered with the US FDA for professional clinical use, and with a CE mark in Europe as a medically qualified biofeedback, monitoring, and imaging system.